Does it seem as though your children are getting bored of the swimming pool? Pick up some fun pool toys today to breathe new life and fun back into the time you’re in the pool. You can go low budget with toys that will enliven the time in the water — they don’t have to be high tech or high price tag like adding a diving board or slide! The swimming pool service contractors from SwimRight Pools in Arizona understand sometimes all you want to do is float around in the water and soak up the sun now that it’s not triple digit temps. 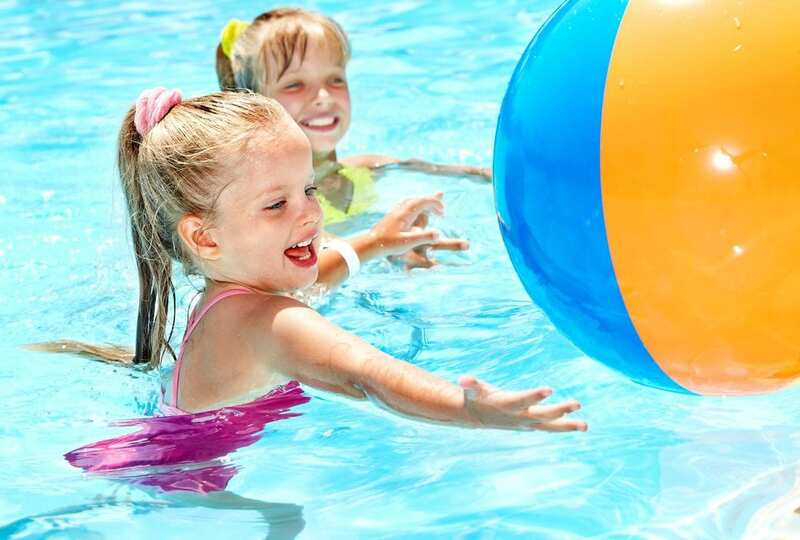 If your kids are looking for something more to do than just float around, add fun pool toys. Blow up rafts go from simple to elaborate. You can buy small rafts or those that have backrests, drink holders and waterproof cubbies to hold your phone or sunscreen. Rafts are designed to look like sea turtles, dragons, Disney characters, floating donuts, cars, brightly colored lips and the standard vinyl raft with a tiny head rest. Don’t forget pool safety devices for children and adults that include life vests. Sure, they may not sound like a fun toy BUT let your child choose his or her own life vest. A life vest may get your child off the side of the pool and actually into the water. Now that’s fun! Remember, arm floaties are not safe and should not be relied upon to keep your child above water. Kick boards. You can float on them. You can host races with them. You can swim laps holding onto one. Swim goggles and even swim fins if you want to have some underwater fun. When you have swim goggles you can add some heavy toys to the pool and having diving contests and who ever picks up the most toys wins! Pool noodles! These fun, inexpensive toys come in myriad colors and thicknesses and lengths and lead to many imaginative games! A pool noodle will never go out of style! Truly, it doesn’t matter wht kind of toy you buy — from a beach ball to a pool noodle — your children will be more engaged with the fun in the pool because of it and you’ll be breathing new life into pool time and building more memories!